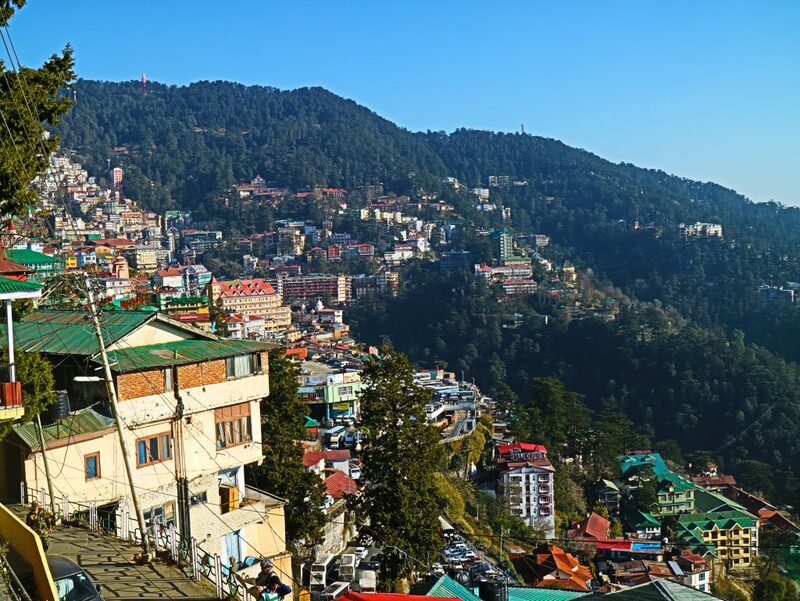 Shimla – the final destination on our Indian trip and the least “Indian” destination – until the taxi we booked to travel back to Delhi failed to show up. But that’s another story. My only reason for going there was to give the kids a break from all that “spiritual cultivation”. First, a bit of politics. 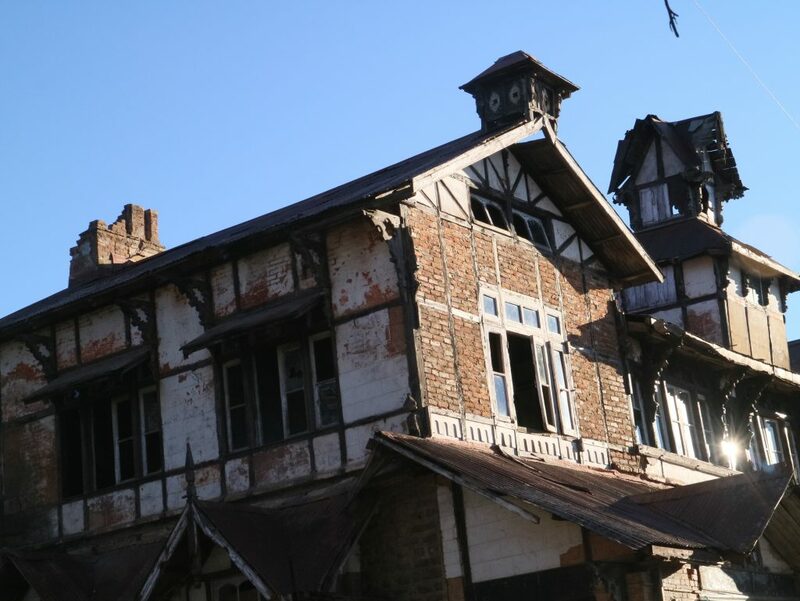 The area of present-day Shimla was once inhabited by a diverse mix of tribesmen. 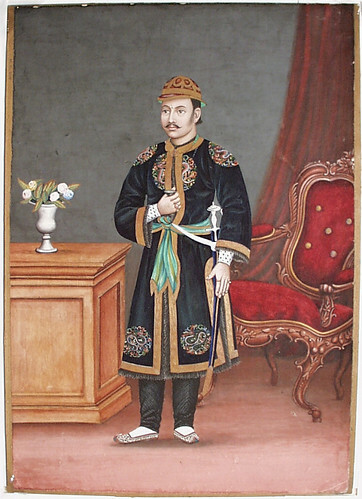 Little is known about its history until it was invaded and captured by Nepalese strongman Bhimsen Thapa after he went on a killing spree in 1806. It became a part of the Gorkha Kingdom. The British East India Company fought the Kingdom of Gorkha (Nepal) in 1814, emerging victorious in 1816. 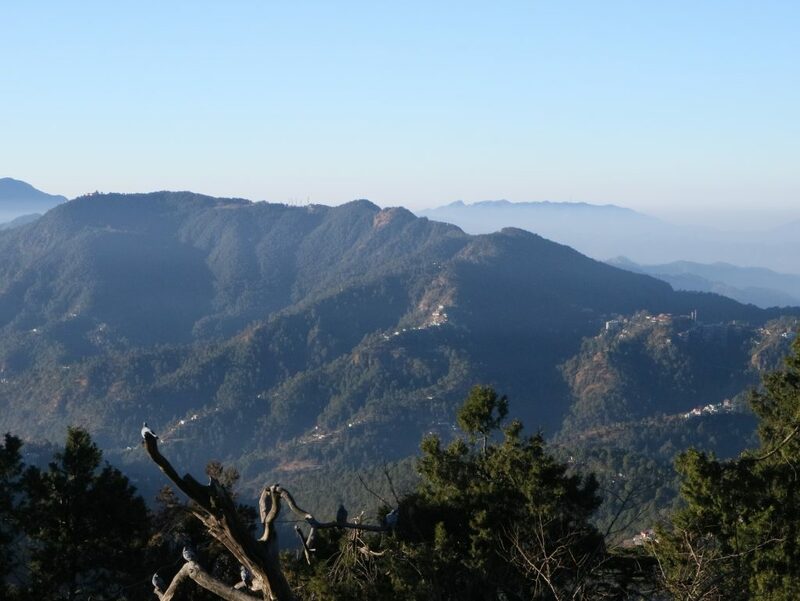 At the end of the war, the Sugauli Treaty was signed and Nepal ceded Shimla, along with almost one third of its territory at the Indian border to the British. 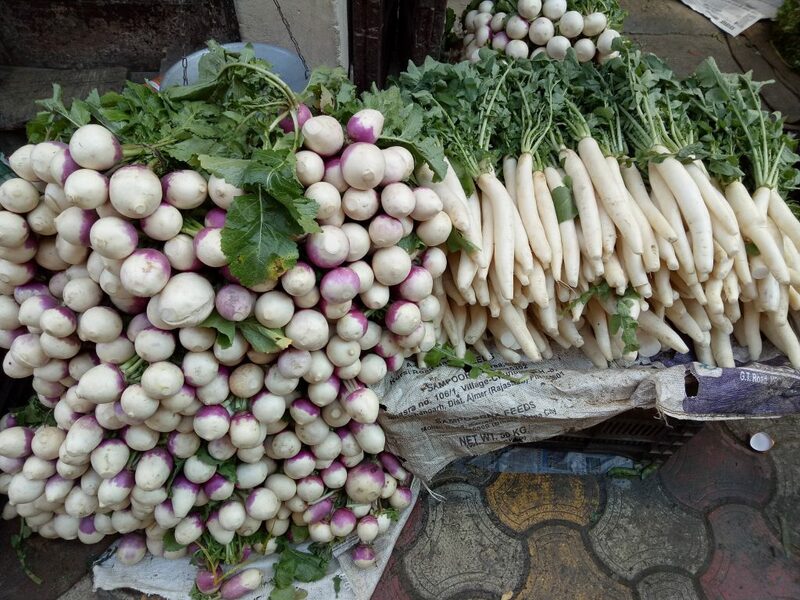 News about the cool climate in Shimla spread quickly. 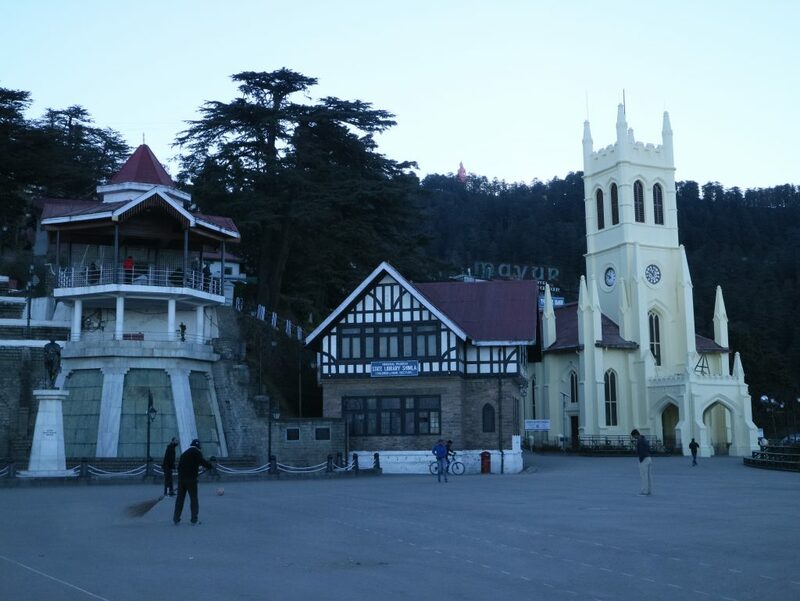 By 1826, some British officers had started spending their entire vacation in Shimla which was described as “a very agreeable refuge from the burning plains of Hindustan”. 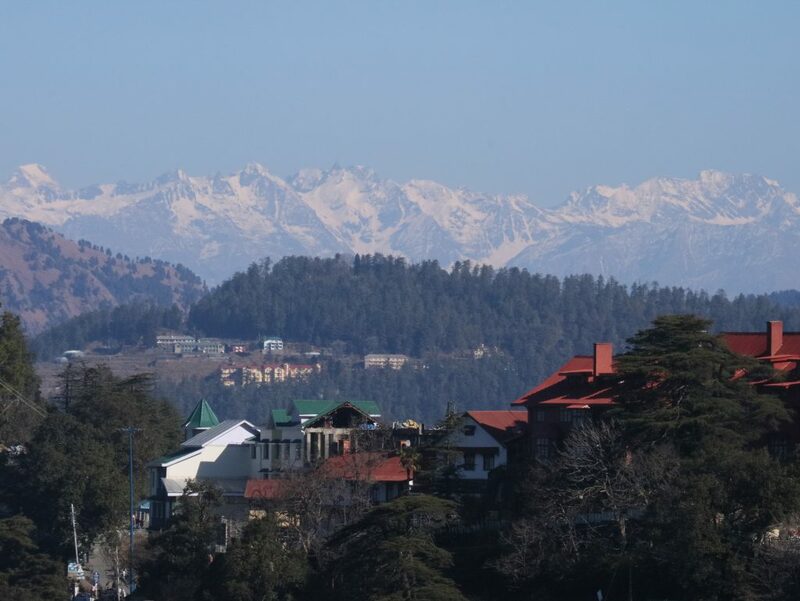 During the summer months, Shimla became the Headquarters of the Commander-in-Chief, India, the head of the Indian Army, and many other Departments of the Government. The summer capital of the regional Government of the Punjab also moved from Murree, in modern-day Pakistan, to Shimla in 1876. 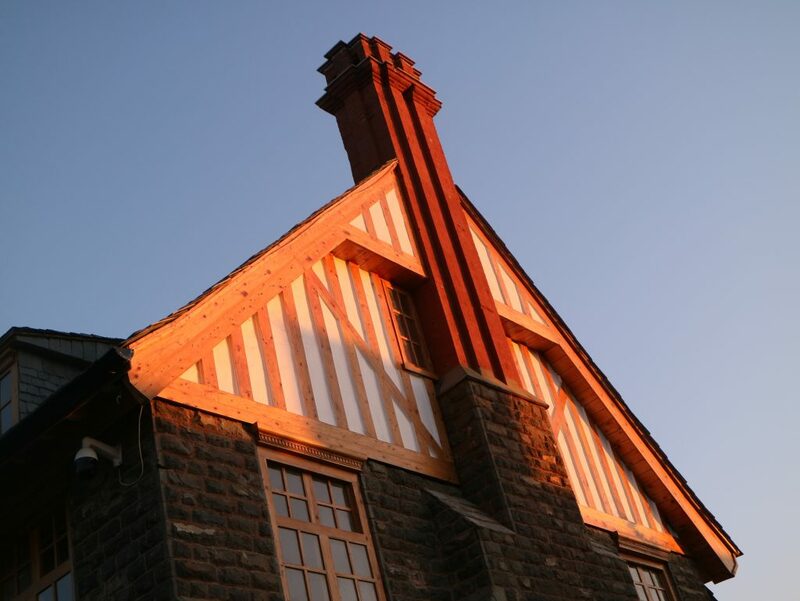 As housing developed in the hill station, well-paid British officers were joined by their wives and daughters. 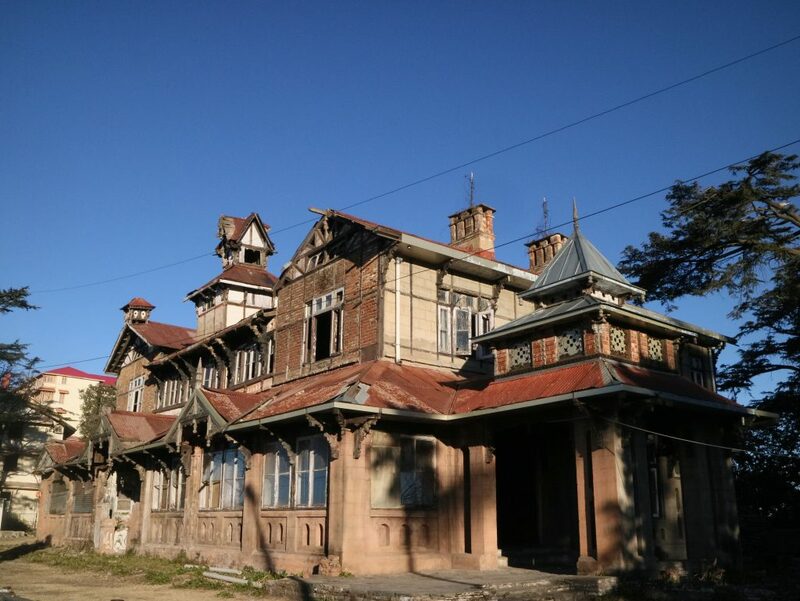 The community became known as the “Shimla Society”. 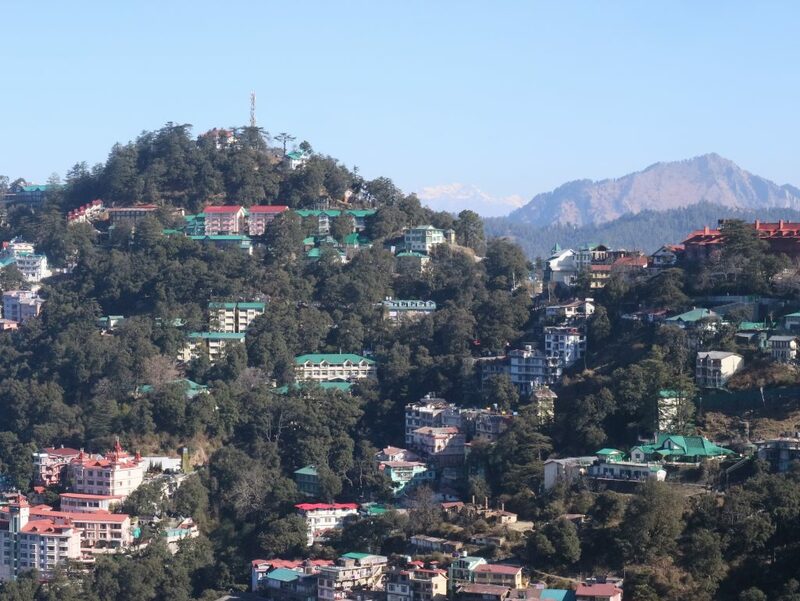 According to popular travel/history writer Charles Allen, Shimla “was as close as British India ever came to having an upper crust.” High demand for the ideal climate and limited construction and accommodation on the mountainous terrain drove prices of real estate through the roof. 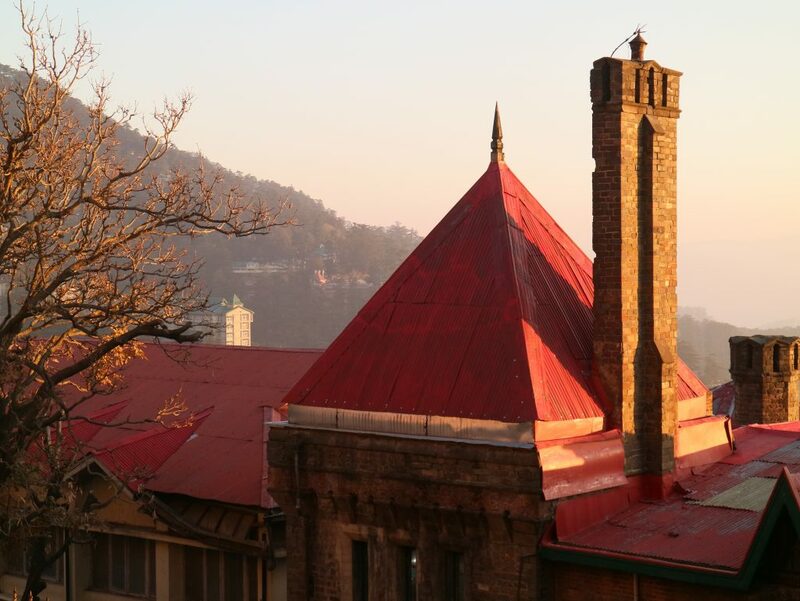 Every summer, Shimla was a magnet for pampered British soldiers, merchants and civil servants. 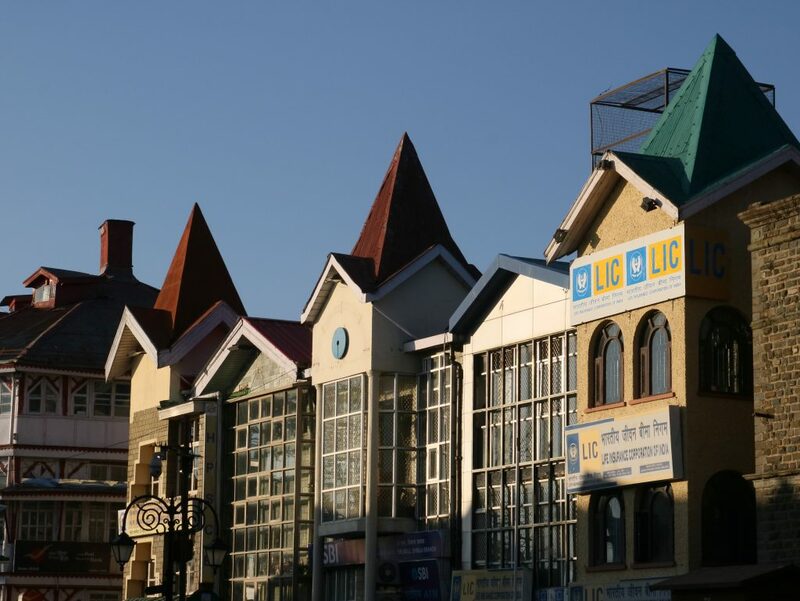 Situated at an average altitude of 2276m, Shimla sits on the foothills of the Himalayas. On a clear day, you can see the Himalayas from The Ridge. Travelling to Shimla is not too difficult. The city is situated 88 km northeast of Kalka, 116 km northeast of Chandigarh in Punjab, 247 km south of Manali and 350 km northeast of Delhi. Kalka can be reached within 3 hours, Chandigarh can be reached in 4 hours. Delhi and Manali are both around 9 hours from Shimla. If you have at least 4 people in your group, I strongly advise taking the taxi door to door from Chandigarh or even Delhi. It’s expensive, but there’s less hassle and it’s a lot more comfortable. Forget about the “Himalayan Queen” and other gimmicky, misleading traps or you’ll end up with a horriday! But this being India, even taking the taxi is not entirely trouble-free. 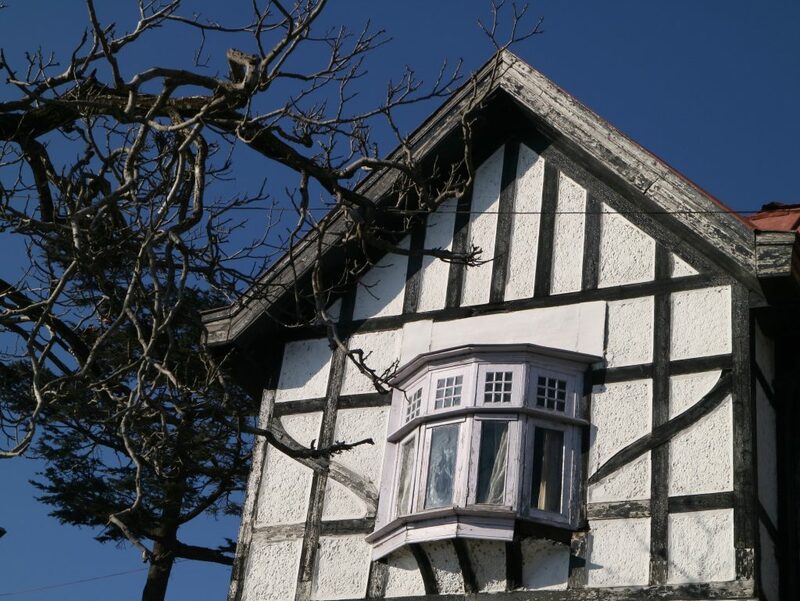 There are so many obscure little hotels, lodges and homestays around Shimla that your driver from the lowlands is almost certain not to know them. GPS is also quite useless as some of the hotels have no motorable road near them. At a certain location, your GPS may tell you that you have arrived because there may be 20 hotels located uphill from that spot 20 hotels located downhill from that spot. It could be a long climb up or down after alighting. The other thing that is rather discouraging about Himachal Pradesh is the whopping 28% GST. It certainly maintains the “upper crust” long after the British had left. Our driver went round and round before finally arriving at Fortunately, we settled into the nice, cozy little Thistle Lodge run by a friendly, soft-spoken Indian lady by the name of Namita. Situated on a hillside, it’s just a short climb to the Mall and the Ridge. There is a homely feeling about the lodge and we’re treated like we’re family. Our only problem was with the monkeys who scuttled over the roof every now and then and there’s a bit too much walking to get to the car when we arrived and departed. Other than that, Namita made a very good breakfast and was always there to help out when we needed it. 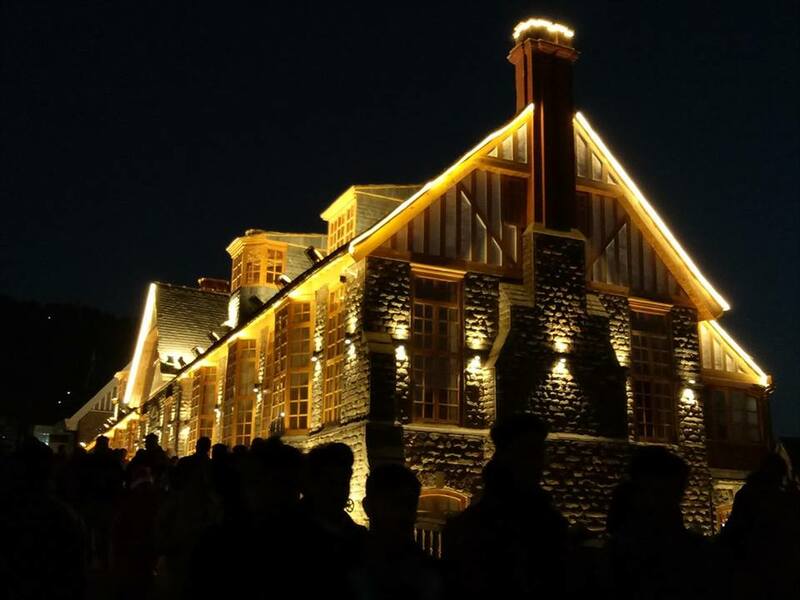 This being Christmas, Shimla was unusually crowded, mostly with local tourists. And the streets, the square, the bazaars seemed to be designed to handle all that crowd. Or perhaps there was a certain orderliness to this “upper crust”, no matter how politically correct you want to be. 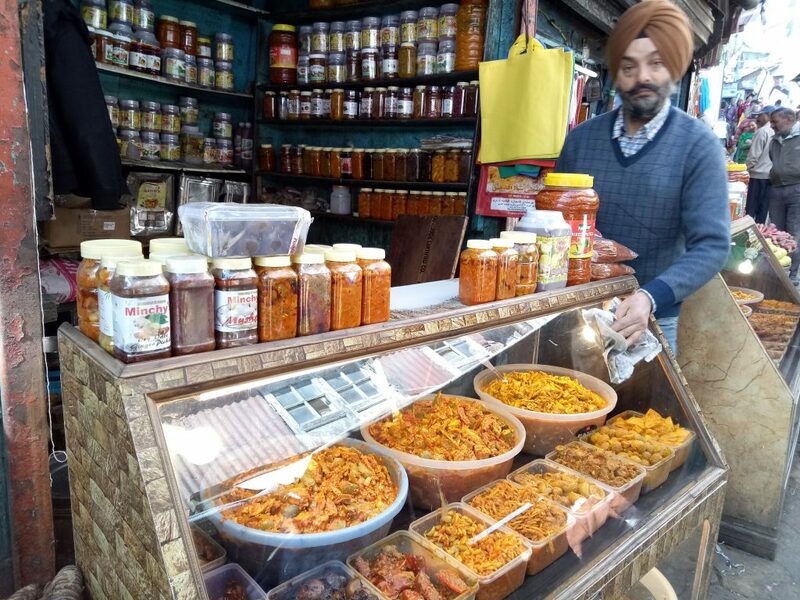 Without all the rubbish heaps, pigs, cows, traffic noise, Shimla presented itself as a busy, bustling city, spiced with just the right dose of turmoil. Our hope for a white Christmas was dashed from Day 1. 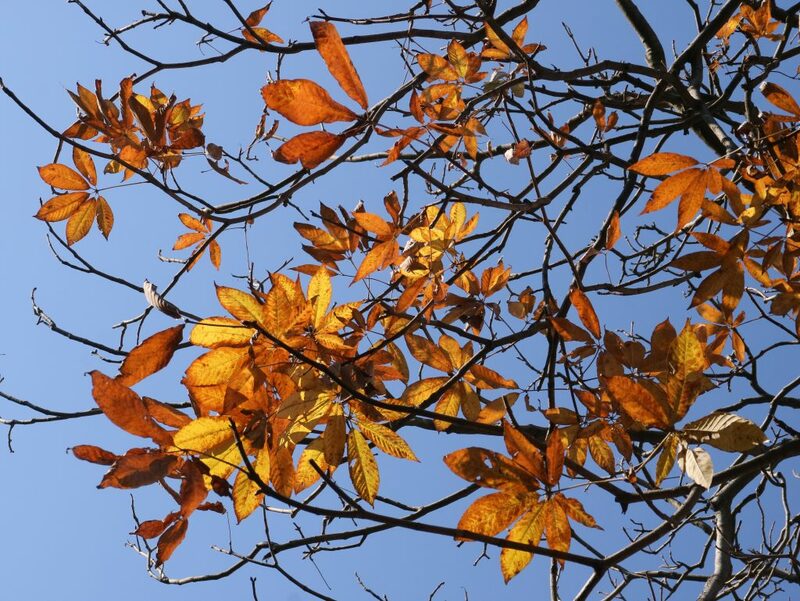 The cloudless sky was a pure and stainless blue and the sun cast a brilliant glow on the lifeless, leafless trees. Still, it was rather cold in the evenings. Once the sun set, the Himalayan night took over. 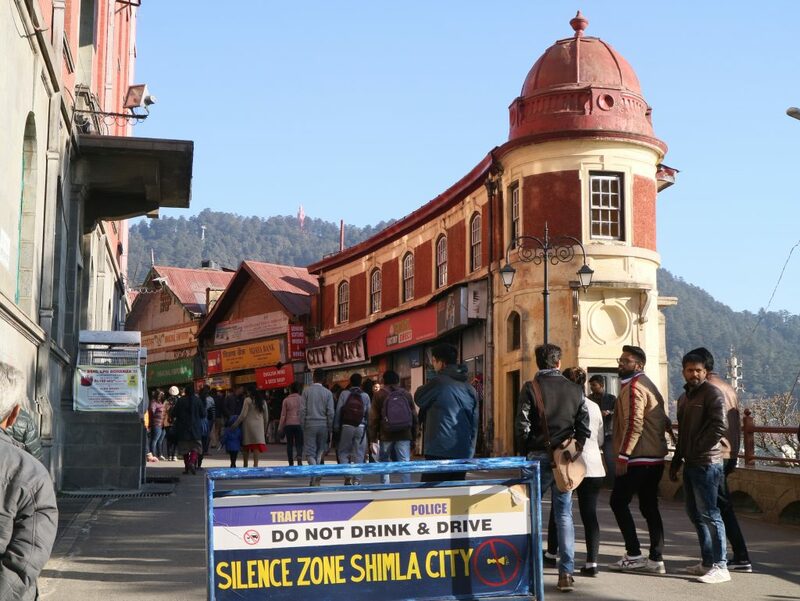 There are actually many beautiful walks around Shimla, but by then, everyone was already drained and traumatised by the “horriday” we had endured earlier, so they were not in the mood for too much exploration. 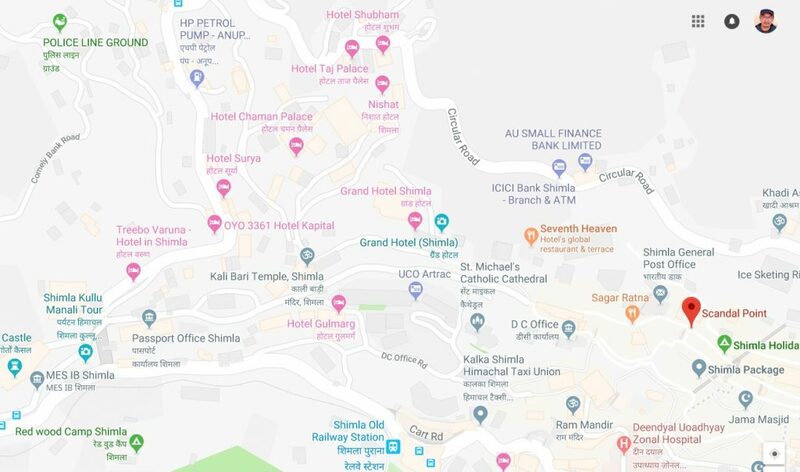 The most happening area in Shimla is shown in the map above. Some British castles are in ruins and marked for restoration while many others were comparatively well maintained. Our lodge was at a forested area surrounding an army camp and it’s a very pleasant and scenic walk through the Mall to the Ridge. 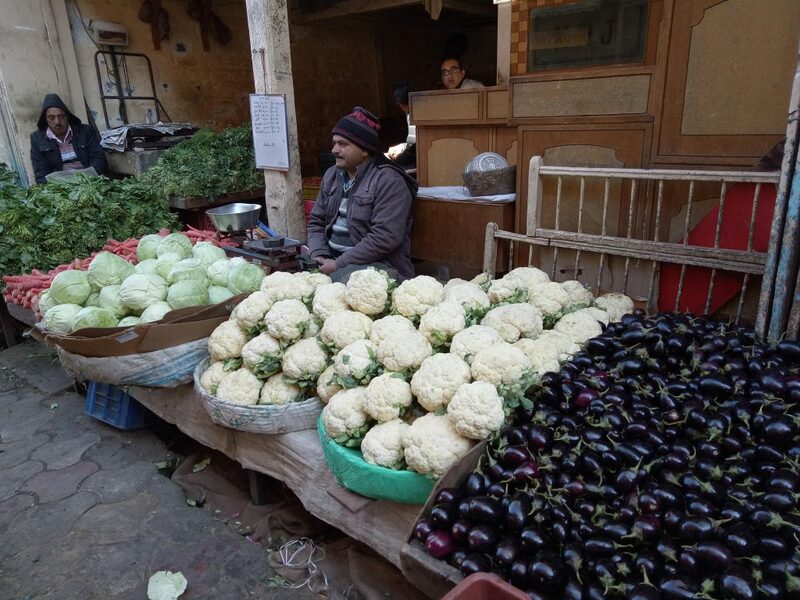 When you’ve gotten tired of the scenery and want to get back to the reality of hunger and satiation, a good place to check out is the lower bazaar. 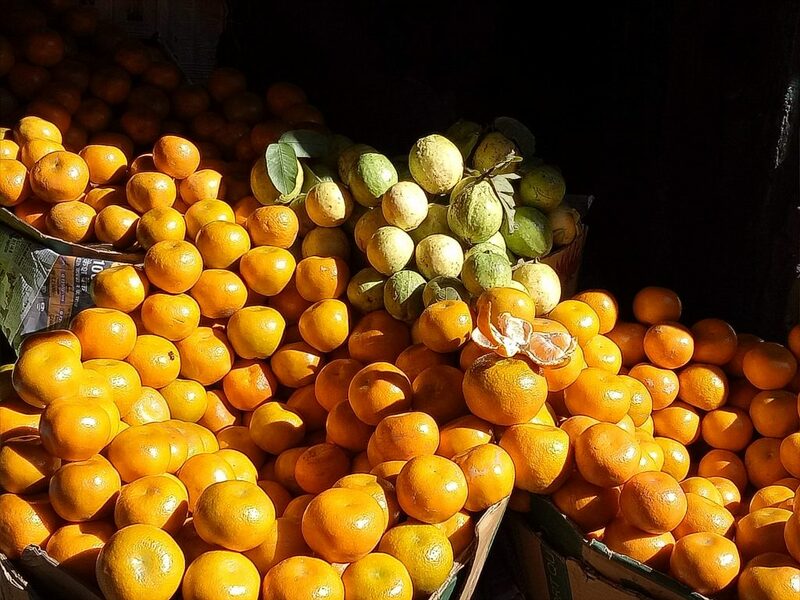 The place is full of fruits and vegetables, glowing with the colour and texture of freshness and nativity. You’d wish you could get an endless supply of them at those prices back home. 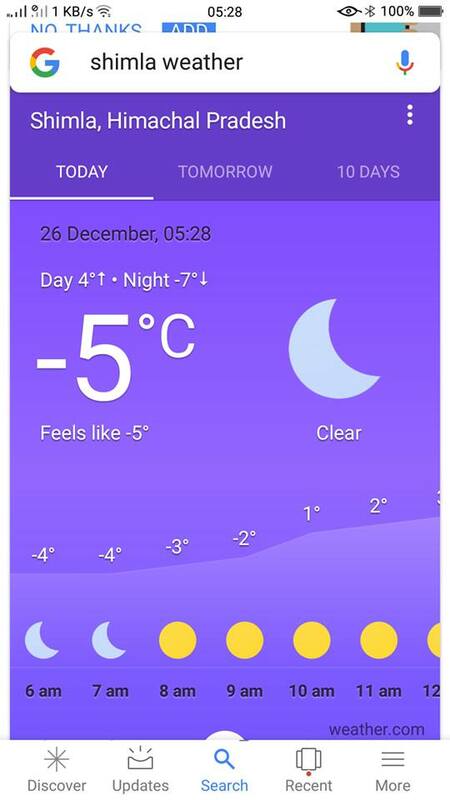 I’m not sure if it had anything to do with the Christmas season, but unlike many places in the mountains, Shimla was still very much throbbing with life long after the sun had set and the mercury sank below zero. Without any need to try too hard, Shimla captured the atmosphere of Snow White, Hansel and Gretel, obviously without Orchard Road’s budget. 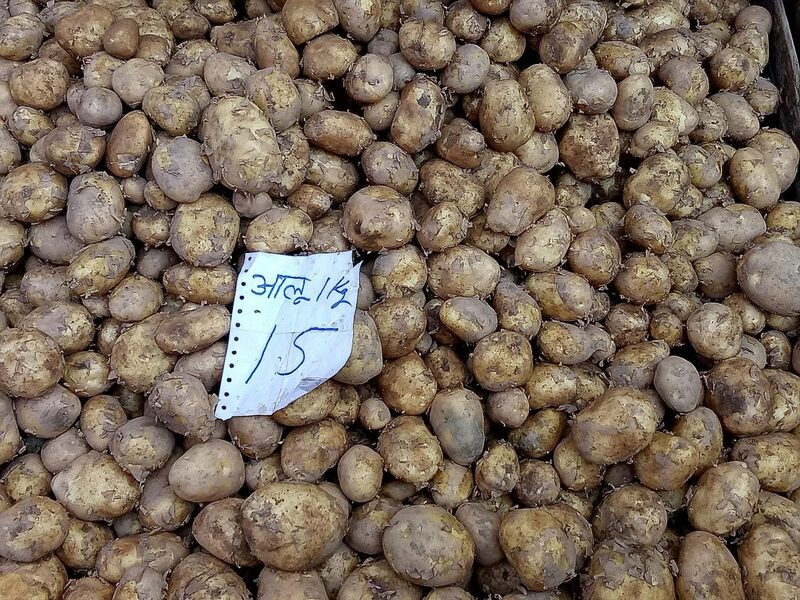 It may be difficult to quantify what the British had robbed India of, but you can’t say that they hadn’t left any treasures behind.